Clock Dance – loudlatinlaughing – Euge! Euge! 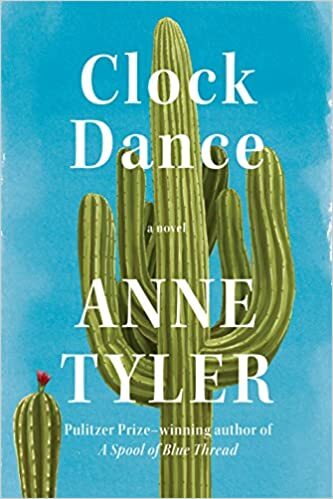 The prolific Anne Tyler keeps chugging away but it seems like her punchy writing is becoming diluted. The message remains the same, no matter how old you are you can make a change in your life (usually it’s an older woman who fantasizes about leaving her unappreciative husband). The main character in this is Willa, sent scurrying to Baltimore to care for her son’s ex-girlfriend and that woman’s daughter after the ex was accidentally shot. Willa’s first husband was conveniently done away with in a road rage incident, and her second is a grumpy older man who resents Willa’s willingness to drop everything to tend to this stranger. In the end, Willa flies back to Tuscon but it seems like she’s going to leave him. Is this some sort of fantasy that all older women have?